The Argumentation Toolkit website includes videos and other resources to support teachers in successfully integrating argumentation into science lessons. 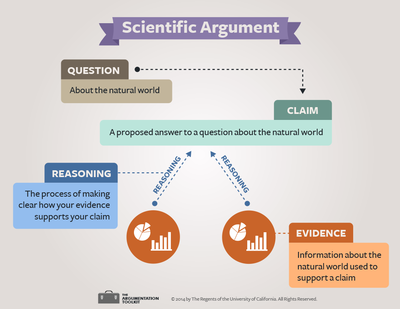 Scientific argumentation is a social process in which students build, question and critique claims using evidence about the natural world. This is a key practice both in the Next Generation Science Standards and the Common Core State Standards for English Language Arts and Literacy. 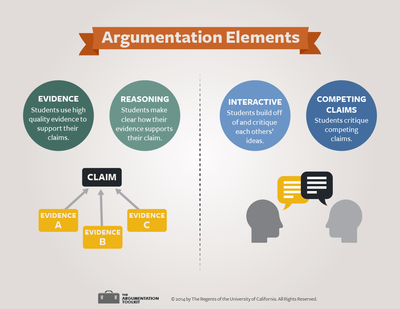 The resources are developed around 4 elements of scientific argumentation that students need extra support around: 1) Evidence, 2) Reasoning, 3) Student Interaction, and 4) Competing Claims. The video below gives an overview of the toolkit. 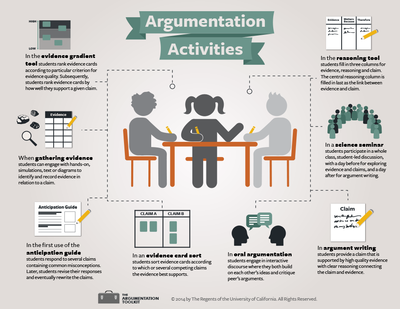 The other resources on this page explain the argumentation elements and provide a more in depth rationale for the focus on argumentation. Additional resources are organized under the “Argument Elements” and “Other Resources” tabs.